Casey Layton enjoys the high of a win. The feeling of closing a deal for a client, earning new business, and getting good returns on an investment are akin a 300-yard drive down the center of the fairway. For someone whose favorite part of his job is working with the team, it may come as a surprise that Casey is a self-proclaimed (and colleague-confirmed) introvert. But this combination of quietness and enjoyment of teamwork is exactly what led Casey down his career path. In college, Casey studied accounting, in part because he was quiet, and because he excelled with numbers. He started his career doing Internal Audit and Tax at McClatchy. While there, a colleague got word that Dental Partners in Roseville needed a controller and heartily recommended Casey for the position. That’s where Casey met Curt Rocca, then-CEO of Dental Partners. 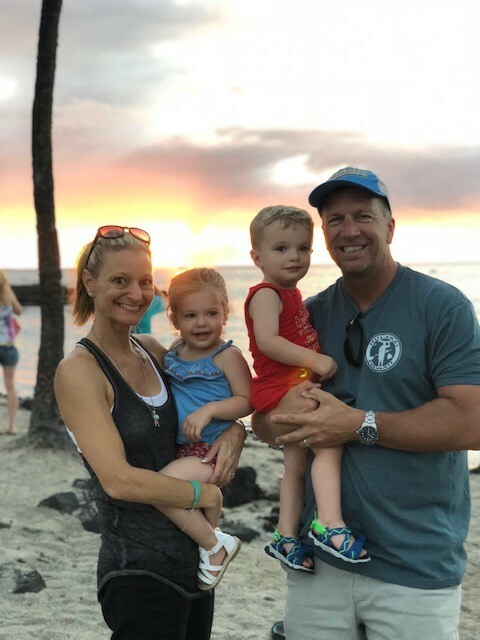 When Dental Partners eventually sold, Casey enjoyed the opportunity to commute from Sacramento to Nashville for several months, seeing another side of the country while working at a job he loved. But Casey’s work with Curt was far from over. When the opportunity was presented to join Curt at a startup called DCA Partners, Casey didn’t hesitate. “I had already seen how good a person Curt is, and knew his combination of integrity and talent would make the firm successful,” Casey explained. “Years later, I’m a converted accountant working in M&A.” It doesn’t hurt that Casey assumes a near-perfect balance of exciting projects and predictable tasks. Not everything has come so naturally, though. Communication is something that Casey has worked hard to improve—be it asking questions or delivering bad news. “I’ve learned that you can’t be afraid of what you don’t know,” Casey said. “If you have a question or thought, it’s likely someone else in the room does, too.” That’s why Casey is inspired by his colleague, Kholt Mulderrig, a Senior Analyst at DCA. Casey admires that Kholt, a fellow introvert, regularly pushes himself out of his comfort zone. Together they make a great team. “I like being the guy behind the guy behind the guy,” describes Casey. “I like being a solid team member and embracing a team mindset. And it helps that I work with such a great group—no one at DCA is afraid of a challenge.” That may be an understatement. From climbing Machu Picchu, to cycling 100 miles around Lake Tahoe, to running a marathon, the DCA team likes nothing more than to push themselves physically and mentally. It’s no stretch to say that Casey, one of DCA’s first employees, has been instrumental in setting that as the groundwork for DCA’s company culture. When Casey’s not playing some kind of sport or working hard to score a win for a client, he can be found with his wife, Susan, chasing their twin toddlers, Eli and Emerson.